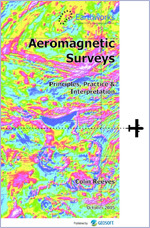 A comprehensive introduction to the principles, practice and interpretation of aeromagnetic surveys was released in July 2009 as a service to the earth science community by Geosoft Inc. The work is a 150-page distillation of the many years' teaching experience of Earthworks' principal, Colin Reeves. The book has raised considerable interest and praise from reviewers and is downloadable as a PDF file, gratis. Those seeking an introduction to the principles of aeromagnetic surveying may wish to refer to one of two geophysical encyclopedias that have been published in recent years with contributions from Earthworks. In the eleven-volume Treatise on Geophysics (Gerald Schubert, ed) published by Elsevier (www.books.elsevier.com/geophysics), Volume 5: Geomagnetism (Massaru Kono, ed) Chapter 5 contains 55 pages on Observation and Measurement Techniques by Turner, Rasson and Reeves. This, amongst other items, explains the principles of aeromagnetic surveying and the origins of magnetic anomalies in rocks. 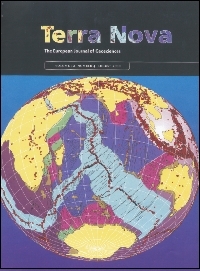 In the Encyclopedia of Geomagnetism and Paleomagnetism (Gubbins and Herrero-Bervera (eds)), published by Springer, a contribution by Reeves and Korhonen (Geological Survey of Finland) on Magnetic anomalies for geology and resources appears on pages 477-481. The first compilation of magnetic anomalies worldwide was published in 2007. The efforts of decades by IAGA working groups were supported by Unesco and the Commission for the Geological Map of the World (CGMW) leading to the release of the first edition printed map, scale 1:50 000 000, at the XXIVth IUGG General Assembly in Perugia, Italy in July. The paper map may be ordered from the website below and the digital data is also available on request and may be viewed in Dapple or Google Earth. An account of the publication is given on the BBC website (news.bbc.co.uk/2/hi/6982485.stm) and a summary of the project is given in the January 2008 edition of The Leading Edge, p 32-33. A new edition of the map is scheduled for release at the Melbourne IUGG in 2011. Reeves, C.V., Teasdale, J.P., & Mahanjane, E.S., 2016b. Origins of the East Africa margin: Prolonged rifting preceded initiation of transforms in the Kimmeridgian. Extended abstract, East Africa: from Research to Reserves, Geological Society, London 13-15 April 2016. Reeves, C.V., Teasdale, J.P., & Mahanjane, E.S., 2016a. Insight into the Eastern Margin of Africa from a New Tectonic Model of the Indian Ocean. Geological Society Special Publication No. 431:Transform Margins: Development, Controls and Petroleum Systems (eds Nemčok, M., Rybár, S., Sinha, S.T., Hermeston, S.A., & Ledvényiová, L.). doi: http://doi.org/10.1144/SP431.12. Reeves, C.V., Teasdale, J.P., & Mahanjane, E.S., 2015. Insight into the East Coast of Africa from a new tectonic model of the early Indian Ocean. 2-page abstract and 4-page appendix. Geological Society of Houston/Petroleum Exploration Society of Great Britain, London, September 2-3. Reeves, C.V., 2015. Gondwana made simple: How it fits together, how it came apart. IGCP Workshop, Rio de Janiero, June 22 - July 3. Reeves, C.V., 2014. The position of Madagascar within Gondwana and its movements during Gondwana dispersal. Journal of African Earth Sciences. Volume 94, pp 45-57. Reeves, C.V., 2013b. The global tectonics of the Indian Ocean and its relevance to India’s western margin. Journal of Geophysics, vol 34, 87-94. Reeves, C.V. and Mahanjane, E.S., 2013a. Dykes in SE Africa reveal first successful Gondwana spreading axis. Letter to Nature, April 2013 – rejected. Reeves, C.V., 2013e. Lebombo: Are we on the edge of Africa? Extended abstract. South African Geophysical Association meeting, Skukuza, South Africa, October. Reeves, C.V., 2013d. Global tectonics, rifting and the fabric of Africa. Extended abstract. Society of Exploration Geophysicists, ‘Exploration of Continental Rifts’ workshop, Houston, September 26. Reeves, C.V., and Mahanjane, E.S., 2013b. Mozambique and its role in the downfall of Gondwana. Extended abstract. Geological Society of Houston/Petroleum exploration society of Great Britain, London, September 11-12. Reeves, C.V., 2013a. African Geology and Tectonics through aeromagnetics: from Botswana to Gondwana. Extended abstract. 24th Colloquium of African Geology. Addis Ababa, January. Key, R.M., and Reeves, C.V., 2012. The post-Gondwana development of East Africa’s coastline with emphasis on the development of the Rovuma Basin. Extended abstract. Geological Society meeting, London, October 24-26. Nemčok, M., Stuart, C. J., Rosendahl, B. R., Welker, C., Smith, S., Sheya, C., Sinha, S. T., Choudhuri, M., Allen, R., Reeves, C., Sharma, S. P., Venkatraman S. & Sinha, N., 2012. Continental break-up mechanism; lessons from intermediate- and fast-extension settings.In:Mohriak, W. U., Danforth, A., Post, P. J., Brown, D. E., Tari, G. M.,Nemčok, M. and Sinha, S. T. (Eds), Conjugate Divergent Margins. Geological Society of London Special Publication, 369. doi: 10.1144/SP369.14. Published, 05/2012. Reeves, C.V., 2012. Global thinking, Geophysics, Gondwana - and India. Extended abstract. Association of Exploration Geophysicists meeting, Hyderabad, October. Reeves, C.V., 2011. Some new thoughts on the early opening of the South Atlantic Ocean. Extended abstract, Geological Society of Houston/Petroleum Exploration Society of Great Britain, London, 2011 September 7-8. Reeves, C.V., 2010. A simple model for the tectonic history of the South Atlantic Ocean. (Not published, PDF available). Bastia, R., Reeves, C., Pundarika Rao, D., D’Silva, K., Radhakrishna, M., 2010. Paleogeographic reconstruction of East Gondwana and evolution of the Indian Continental margin. DCS-DST News, August 2010, pp 2-8. Reeves, C.V., 2009. Re-examining the evidence from plate-tectonics for the initiation of Africa’s passive margins. Extended abstract, Geological Society of Houston/Petroleum Exploration Society of Great Britain, London, 2009 September 9-10. De Wit, M.J., Stankiewicz, J., and Reeves., C., 2008. Restoring Pan-African-Brasiliano connections: more Gondwana control, less trans-Atlantic corruption. In Pankhurst, R.J., Trouw, R.A.J., Brito Neves, B.B., and de Wit, M.J. (eds). West Gondwana: pre-Cenozoic correlations across the South Atlantic region. Geological Society, London, Special Publications 294, 399-412. Chavez Gomez, S., Mubu, M.S., and Reeves, C.V., 2004. A catalogue of dykes in eastern and southern Africa. ITC Publication No 28. Reeves, C.V., de Wit, M.J., and Sahu, B.K., 2004. Tight reassembly of Gondwana exposes Phanerozoic shears in Africa as global tectonic players. Gondwana Research, vol.7, pp 7-19. (Gondwana-11 conference). Reeves, C.V., Sahu, B.K., and de Wit, M.J., 2002. A re-examination of the paleo-position of Africa’s eastern neighbours in Gondwana. Journal of African Earth Sciences. Vol. 34, pp 101-108. Reeves, C. V. and de Wit, M.J., 2000. Making ends meet in Gondwana: retracing the transforms of the Indian Ocean and reconnecting continental shear zones. Terra Nova 12, No.6, 272-282. Reeves, C.V., 2000. The geophysical mapping of Mesozoic dyke swarms in southern Africa and their origin in the disruption of Gondwana. Journal of African Earth Sciences, 30, 499-513. Reeves, C.V., 1972. Rifting in the Kalahari? Nature, London, vol. 237, pp 95-96. Reeves, C.V. and Hutchins, D.G., 1976. 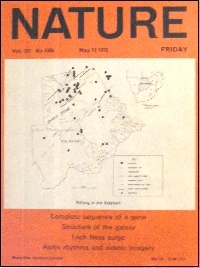 The National Gravity Survey of Botswana 1972-1973, Bulletin No.5, Botswana Geological Survey. Reeves, C.V., 1978. A failed Gondwana spreading-axis in southern Africa, Nature, London, vol. 273, pp 222-223. Reeves, C.V., 1978. Reconnaissance Aeromagnetic Survey of Botswana, 1975-1977, Final Interpretation Report, Special Publication of the Botswana Geological Survey and the Canadian International Development Agency, 199 pp + appendices. Reeves, C.V. and MacLeod, I.N., 1983. Modelling of potential field anomalies - some applications for the micro-computer, First Break, vol. 1 no. 8, pp 18-24. Paterson, N.R., and Reeves, C.V., 1985.Applications of gravity and magnetic surveys - The state-of-the-art in 1985, Geophysics vol. 50, pp 2558-2594. Reeves, C.V., 1985. The Kalahari Desert, central southern Africa - a case history of regional gravity and magnetic exploration in W.J. Hinze (ed), The utility of gravity and magnetic surveys, Society of Exploration Geophysicists special volume, pp 144-156. Reeves, C.V., Karanja, F.M. and MacLeod, I.N., 1987. Geophysical evidence for a failed Jurassic rift and triple junction in Kenya. Earth and Planetary Science Letters vol. 81, pp 299-311. Reeves, C.V., 1989. Aeromagnetic interpretation and rock magnetism. First Break Vol. 7, No. 7, pp 275-286. Reeves,C.V., 1992. New horizons for airborne geophysical mapping. Exploration Geophysics, vol. 23, pp 273-280. (Reprinted ITC Journal 1993-2, pp 149-155). D.M.Finlayson, B. Finlayson, Reeves, C.V., P.R.Milligan, C.D.Cockshell, D.W.Johnstone and M.P.Morse, 1994. The Western Otway Basin - a tectonic framework from new seismic, gravity and aeromagnetic data. Exploration Geophysics vol 24 pp 493-500. Tarlowski, C., McEwin, A.J., Reeves, C.V., and Barton, C.E.,1996. Dewarping the composite aeromagnetic anomaly map of Australia using control traverses and base stations. Geophysics, vol 61, p 696-705. Reeves, C.V., Reford, S.W., and Milligan, P.R., 1997.Airborne Geophysics: Old Methods, New Images. In Gubbins, A.G., Proceedings of Exploration 97, Fourth Decennial International Conference on Mineral Exploration, p 13-30. Reeves, C., Macnab, R., and Maschenkov, S., 1998. Compiling all the world’s magnetic anomalies. EOS, Transactions of the American Geophysical Union, vol 79, p 338. Reeves, C.V., 2001. The role of airborne geophysical reconnaissance in exploration geoscience. First Break, 19.9, p 501-508. Reeves, C.V., 2002. Geophysical Mapping and International Development. ASEG Preview, Australian Society of Exploration Geophysicists, December 2002, 101, pp 22-25. Reeves, C.V., 2005. Aerial Survey, Earth Sciences and Africa’s 21st Century. ASEG Preview No. 116, pp 24-30.